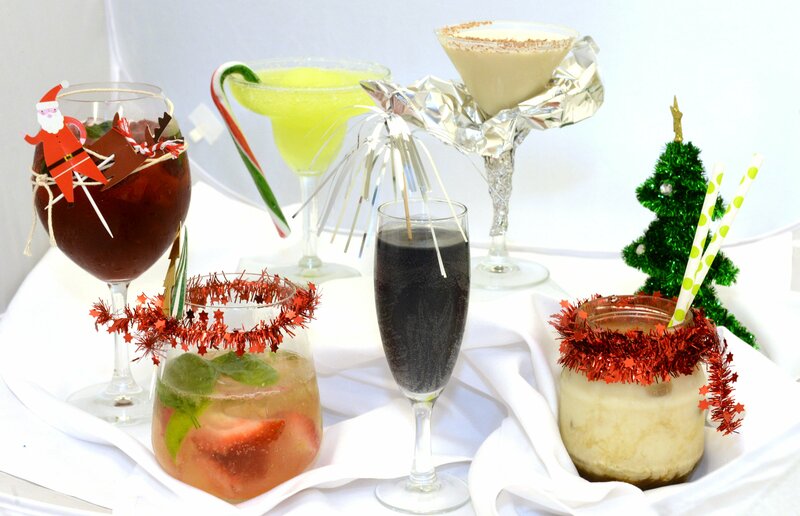 Fiona McLaren, hospitality lecturer at the Food Design Institute at Otago Polytechnic has put together some Christmas cheer with the occassional sparkle. Shake and strain: To mix and chill the beverage and serve cold without ice. Muddle: To release the oils, aroma and flavours particularly of herbs and citrus fruit − it intensifies the flavours. Blend: To create a frozen drink of even consistency, mixing the solid and the liquid ingredients together, especially if you are using fresh or frozen fruit pieces. Too busy to faff about. Very simple - build over ice. Top with almond milk and sprinkle with cinnamon to serve (add a shot of bourbon if you dare). Garnish with chocolate spinkles or dust with nutmeg. Muddle gently together to release flavours but not destroy the fruit. Add a generous squeeze of fresh lemon and top with dry ginger ale. Add ice to glass. Pour in muddled fruits. Strain into a cocktail glass or Champagne flute and top with lemonade (it’s purple and sparkly!). The all-new Ask a Chef is available now! With fantastic recipes from the popular newspaper series, there is inspiration for everything from salads to chocolate cakes and quiches to sausage rolls - sure to impress at your next family or social gathering! With a delicious mix of recipes from around the region including Riverstone Kitchen and Fleur's Place, there is something for everyone. Get your copy of Ask a Chef today !